Are you from the Home Counties particularly Oxford and Cambridge and all points in between inc Bedford, Miltoin Keys etc. Let us know where The Moose should go and who to see, who should we be recording/broadcasting and what gigs should we be going to "WE NEED YOU"
Hi All on the house show network! I am hoping to book some shows in these places and love house shows more than others, if you have a home or know of folks I could contact feel free to reach out to me! I've just arrived on European soil to begin my annual three months of Shengen-zone touring, and I'm thrilled beyond thrilled to announce that this year it will extend to include a two-week stint in the UK! June 1-15 I'm looking for more shows to play in England and Scotland! 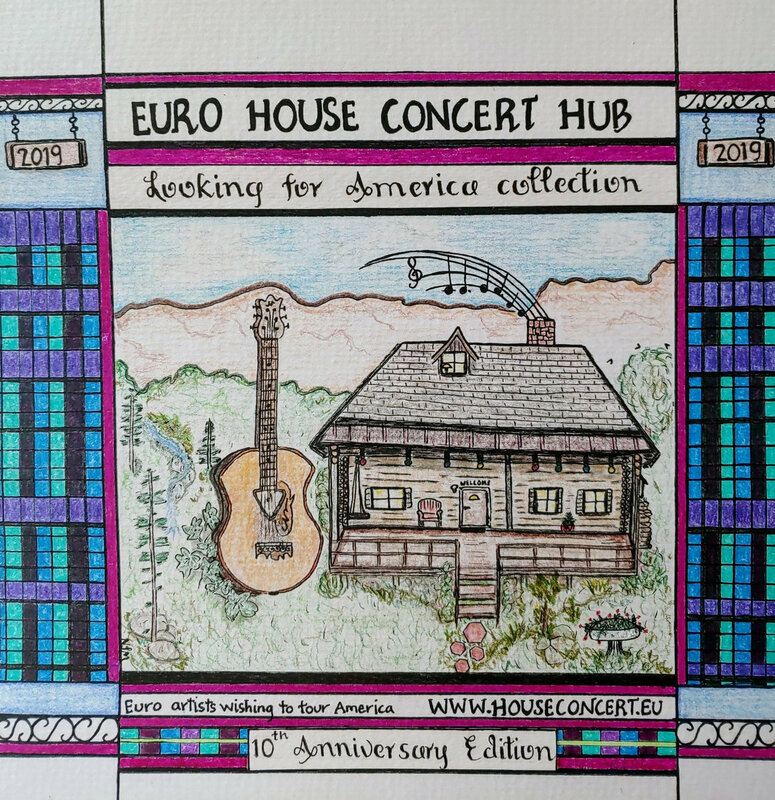 Dear House Concert Hub members. I am now taking application for The Medicine Show Records media "Looking For Europe Summer Collection" compilation (it is already half full I have only 7 places left). It is due for release on June 1st in time for the Summer Festival season and maybe even your European tour.! Michael J. Dwyer American Singer-Songwriter UK tour October 2019! I'm planning a tour in the UK in October 2019. I currently have 2 dates booked in the Isle of Arran, Scotland, 10/19 & 10/20. I'll also be performing in London on 10/12 and Swindon on 10/25. Please contact me if you're open to hosting a show close to these areas and if the dates work for you! Thank you! Still another US Singer Songwriter wants to play for you! My name is Julianna Laine. I am an artist/singer-songwriter from Canada and currently based out of Austria. I am currently looking for shows from now until July all throughout Europe. I have a couple shows booked in Gothenburg and Copenhagen May 17th - 22nd and would love to fill in the days between shows with house concerts! Mantlepeace from Australia coming to UK and Europe in June! We are looking to book some gigs and house concerts! We would be a duo, swapping around on bass and guitar, foot stomping cajun and playing a range of diverse styles, generally folky but with bits of reggae, celtic, flamenco with a dose of Australiana Rainbow Region Spirit..
Singer Songwriter Rick Shea in the UK and Europe May and June looking for gigs and or house concerts. I'll be in Ireland, the UK and Europe from May 22nd - June 16th. I'm interested in any house concerts or gigs during that time. I play regularly in So Calif and tour the US and Europe. The last few years I've been part of the West of the West - Roots on the Rails tours which include Dave Alvin, Jimmie Dale Gilmore, Jon Dee Graham, Eliza Gilkyson, Peter Case, John Doe and others.